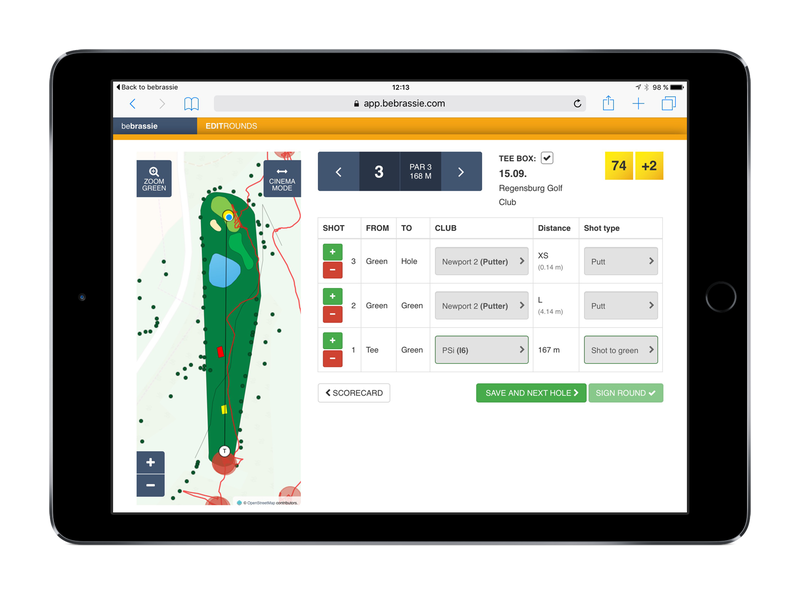 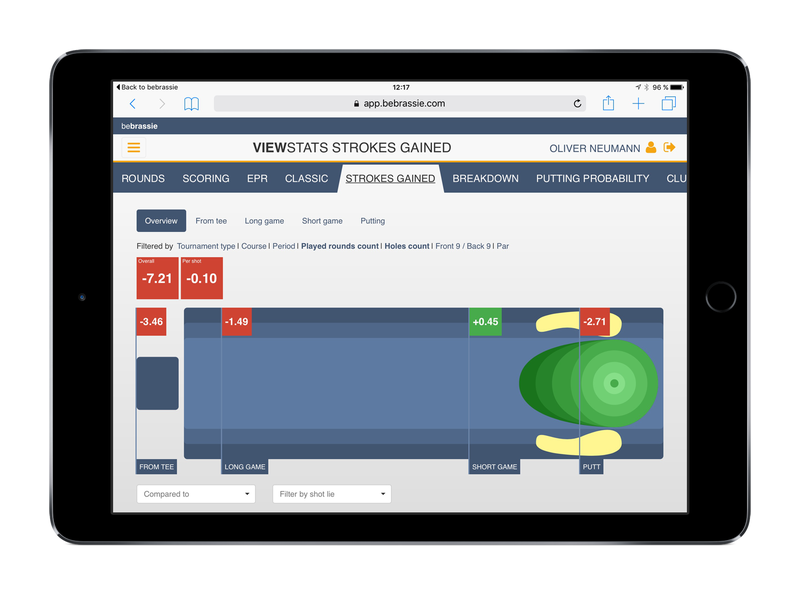 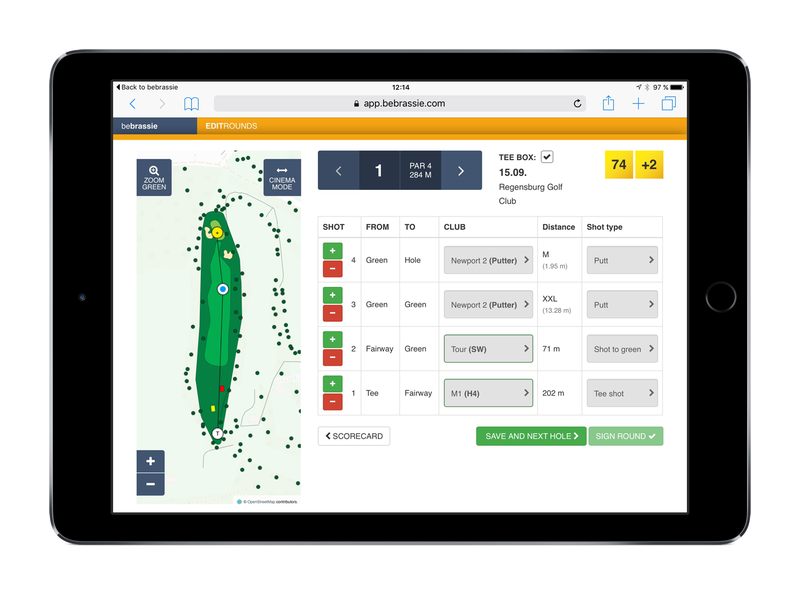 Track your game and analyze your performance. Use your smartphone our Automatic Shot Detection recognizes your shots. 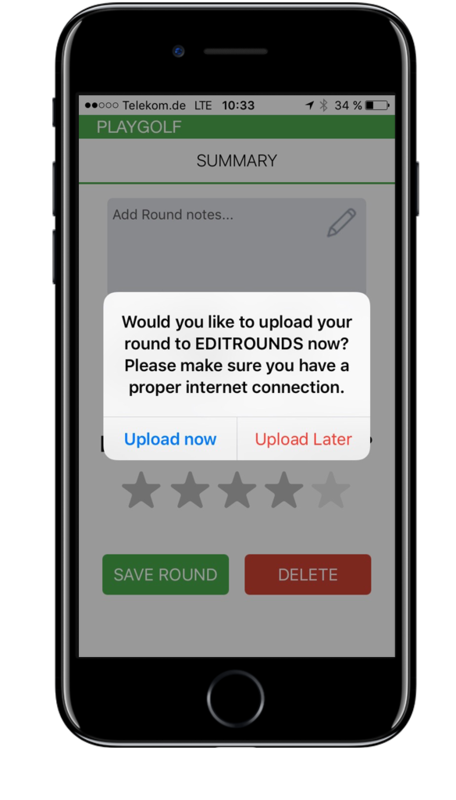 Edit your rounds and match the detected shots with your score. 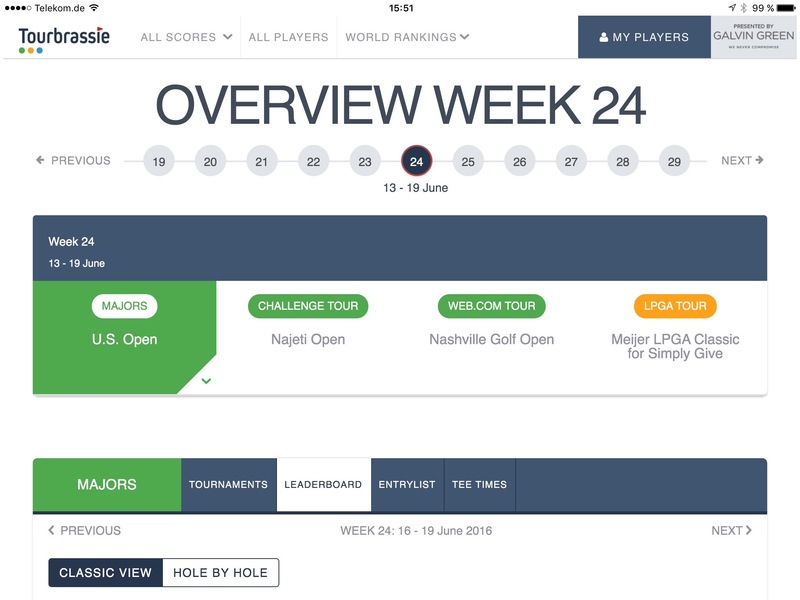 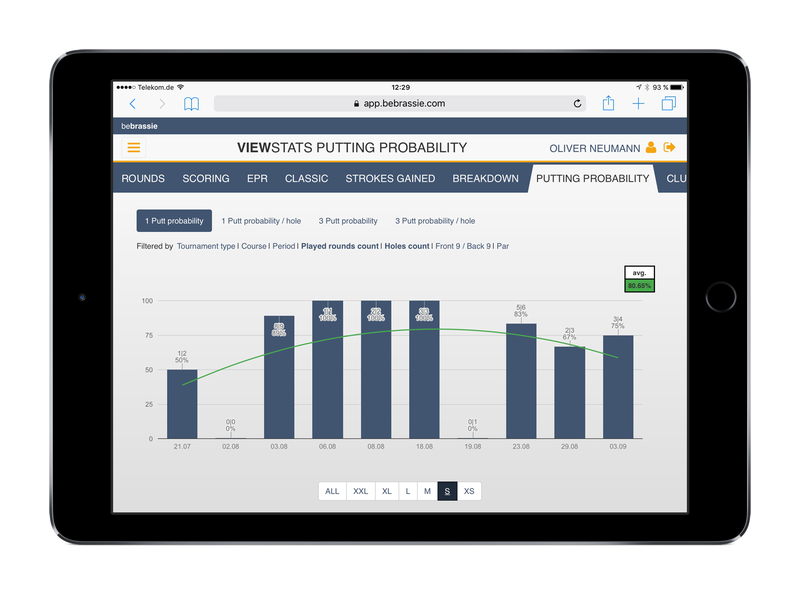 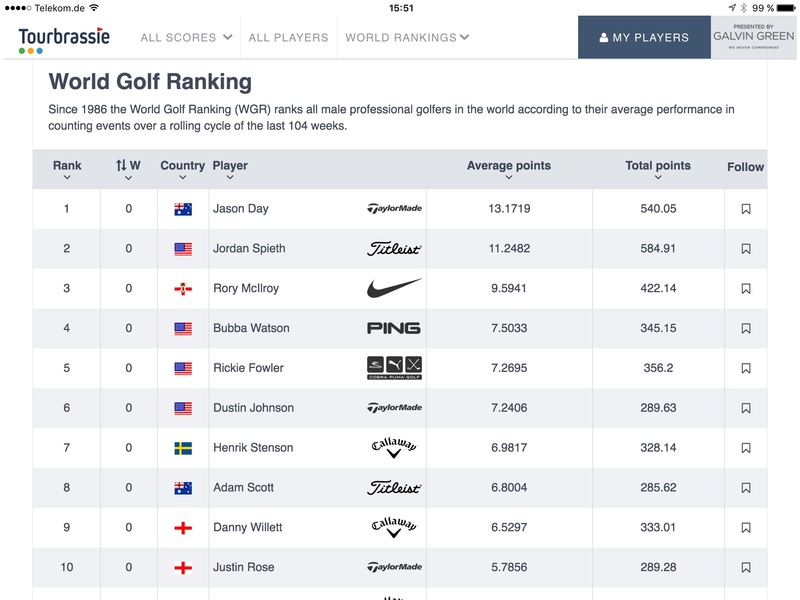 Check your stats including Strokes Gained calculations. 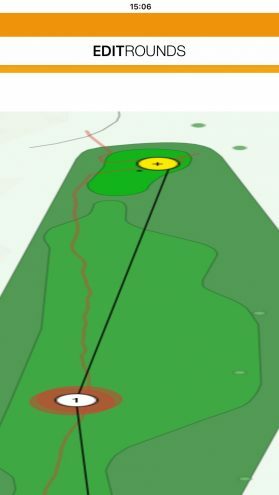 Just go out on the course, press ‚START ROUND‘ and enjoy your game. 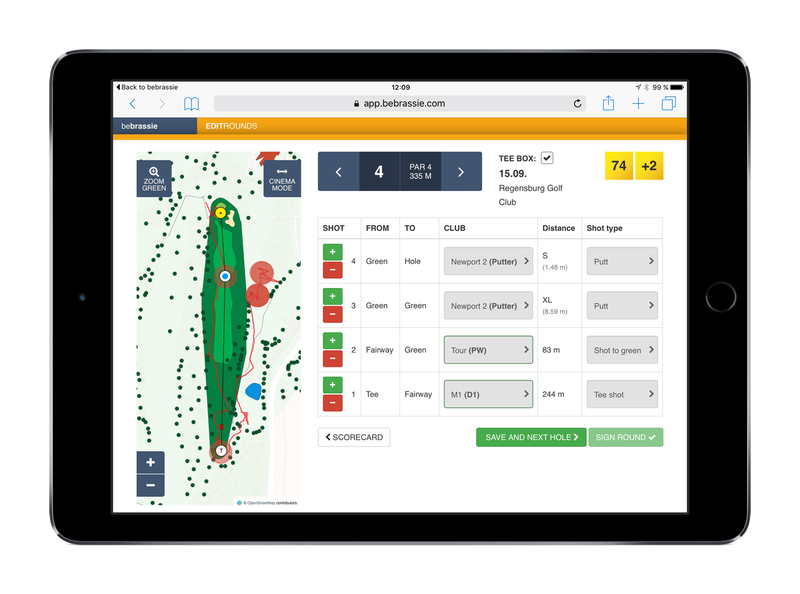 Your Game will be tracked automatically by GPS and our Automatic Shot Detection Technology. Use the clear Rangefinder and Birdiemaker for your shot planning. 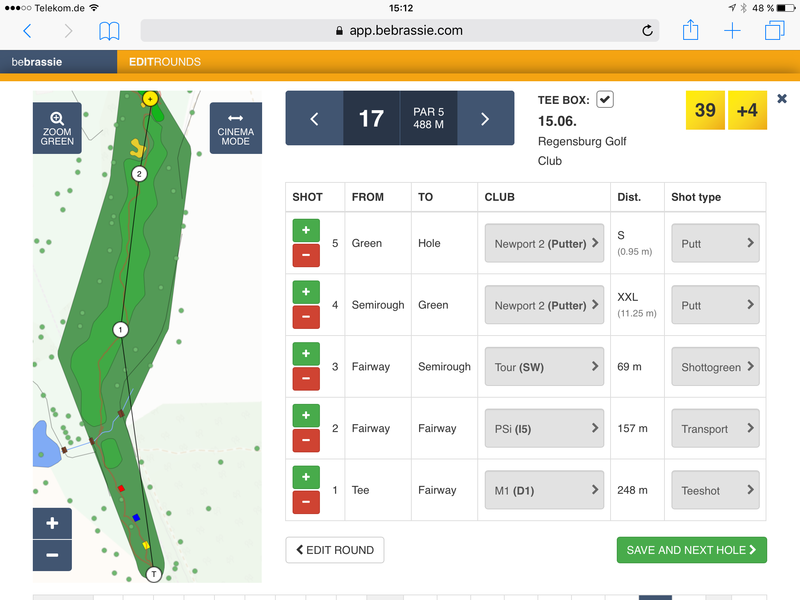 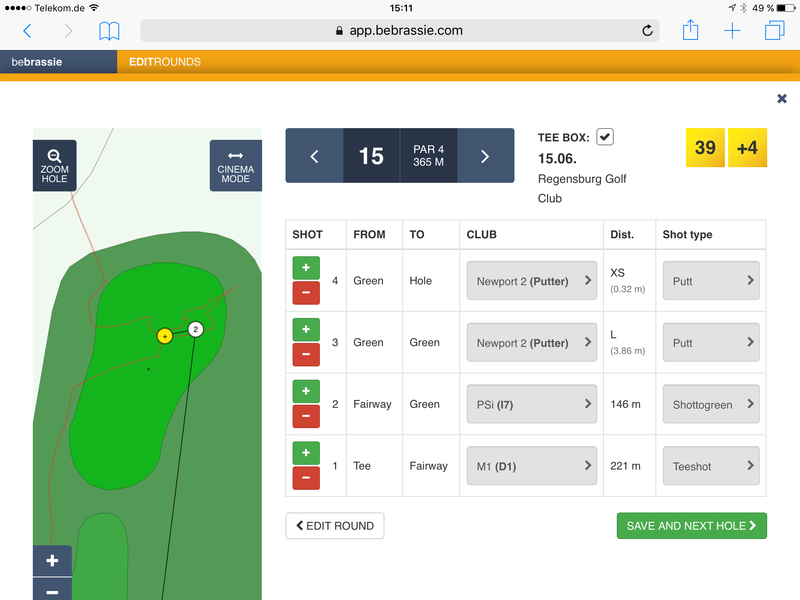 With bebrassie’s easy drag and drop system optimised for tablet and desktop pc, you can adjust all your shots and add additional information. 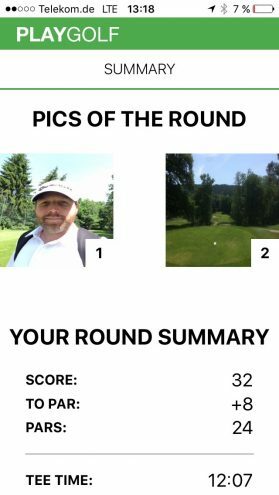 Or you can create a round out of your memory and sign it to get all the statistics you need. 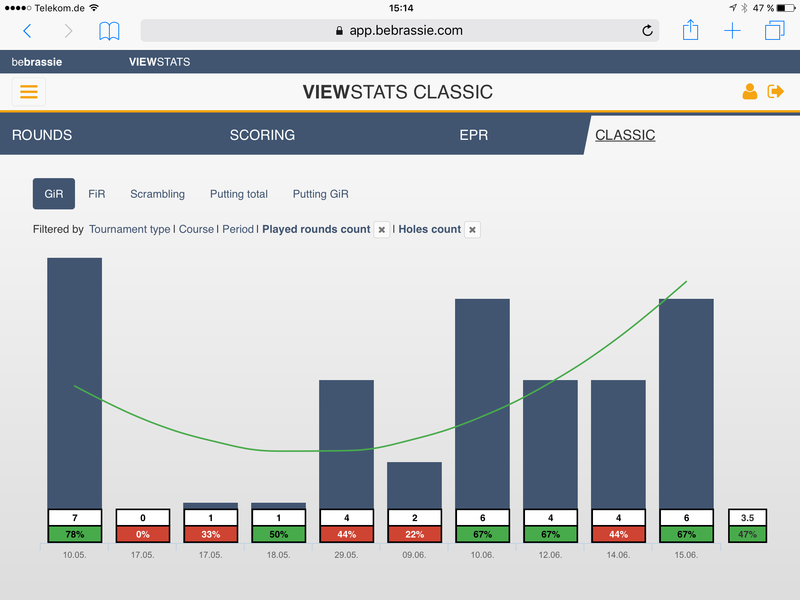 Game changing statistics to analyze your game: Including Professor Broadies Strokes Gained analysis used by the PGA Tour. 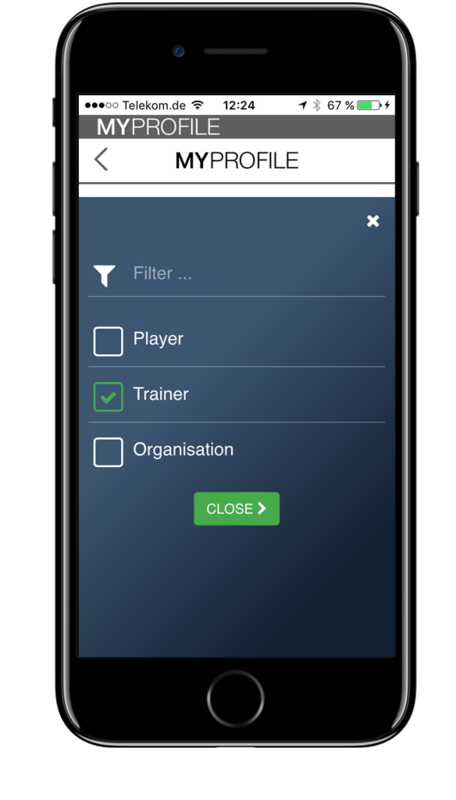 Discover your skills and weaknesses and improve the efficiency of your training. 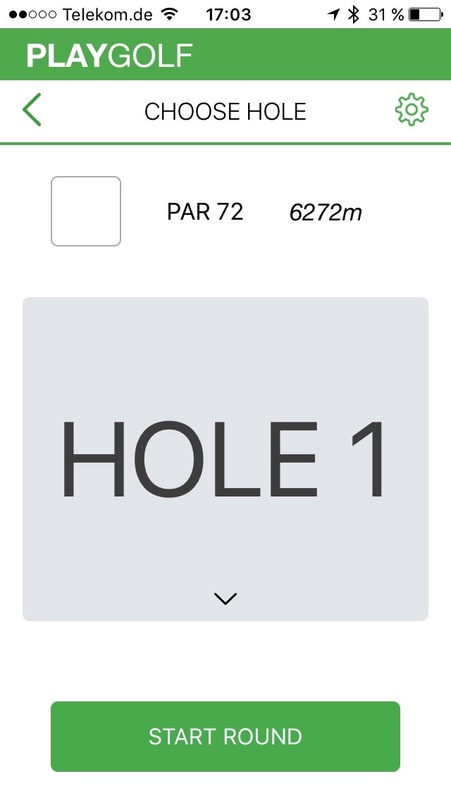 Just start the App, Press START ROUND and enjoy your game. 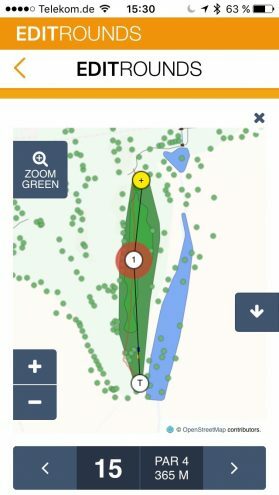 The shot will be detected automatically with ASD Technology. 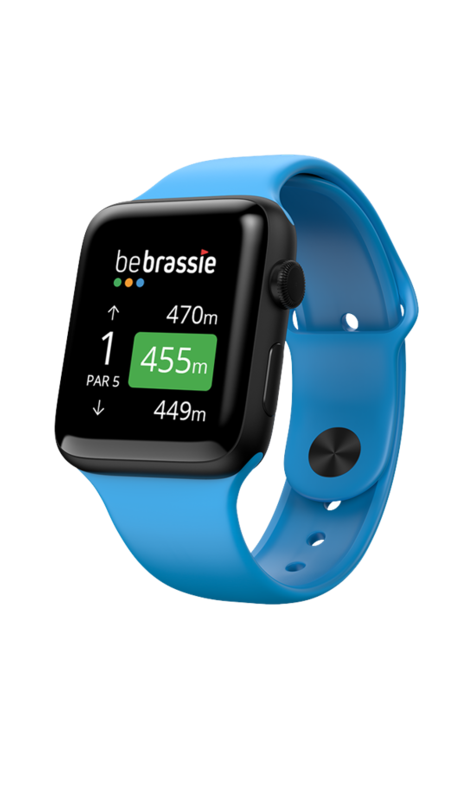 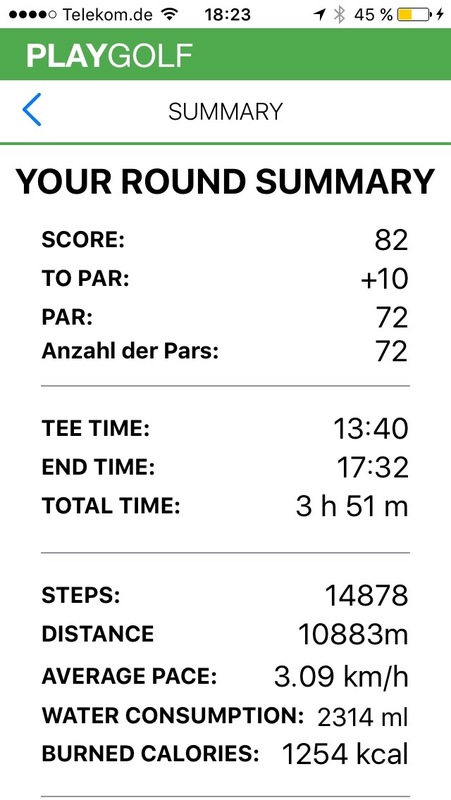 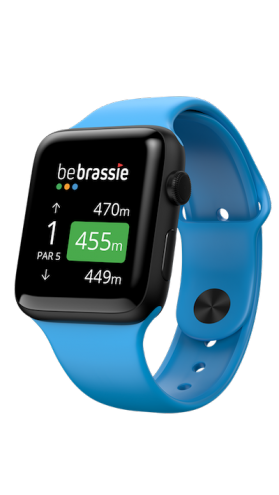 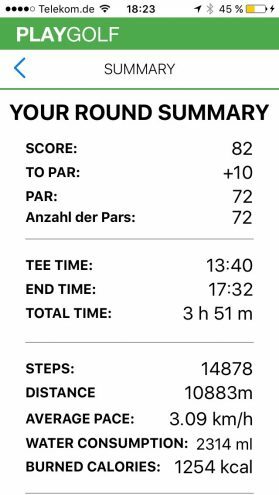 You can connect your smart watch with the PLAYGOLF App. 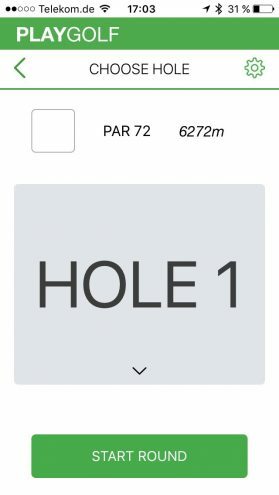 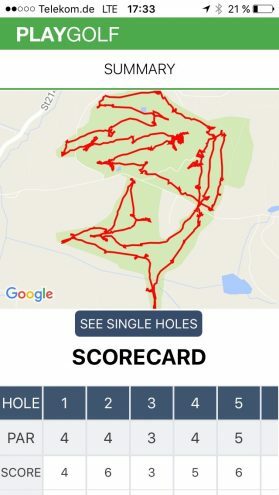 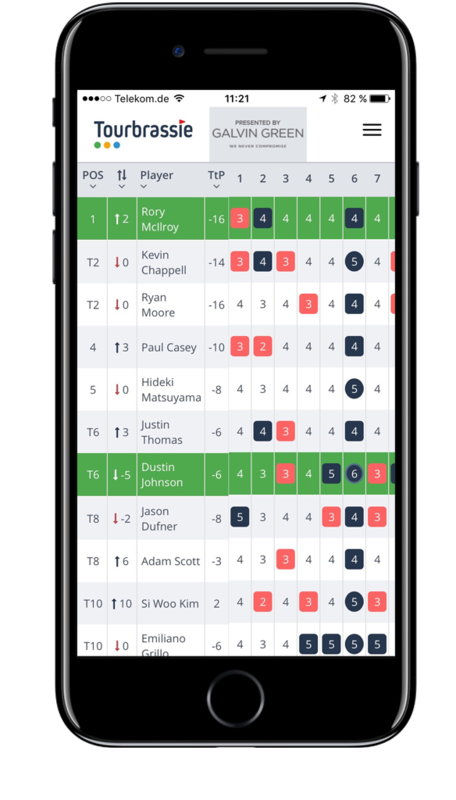 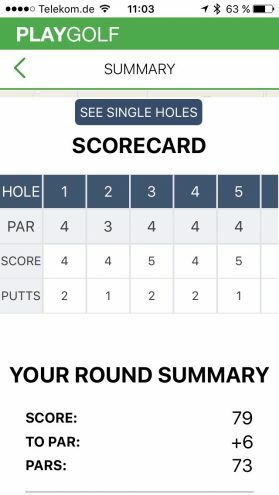 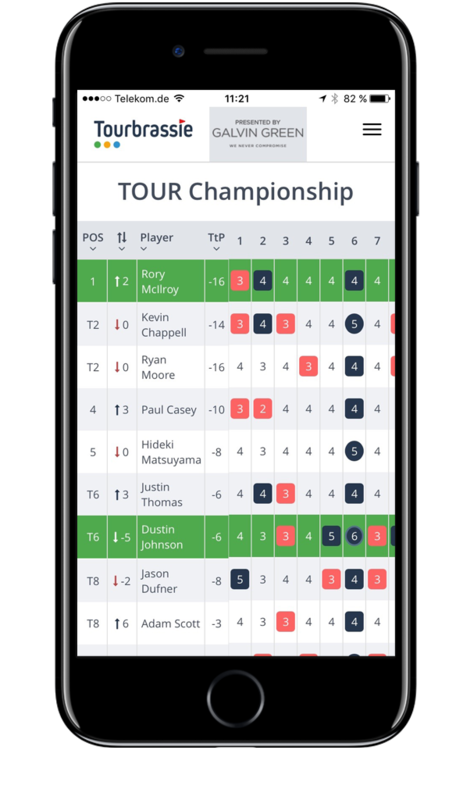 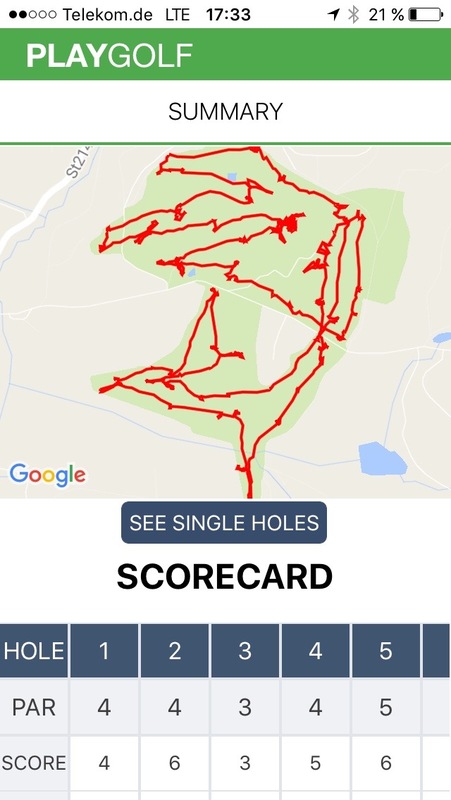 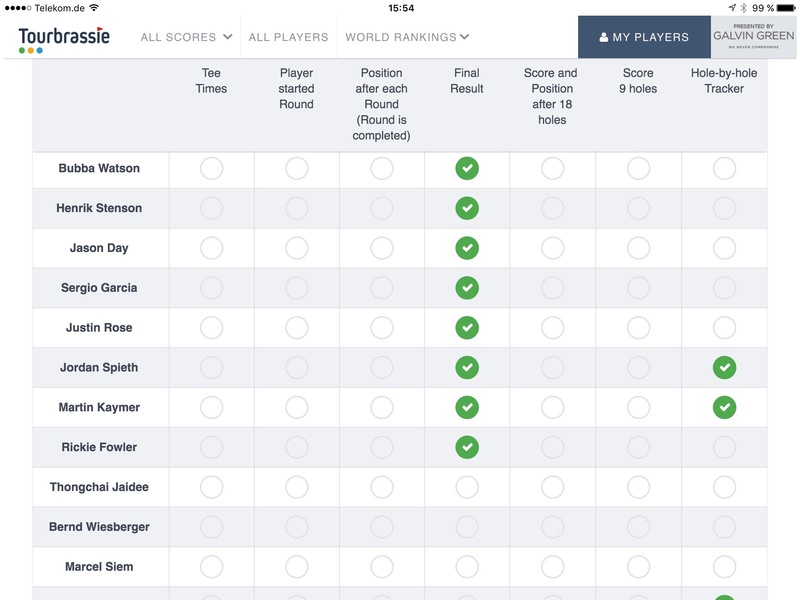 After the round you can easily add your score and some notes. 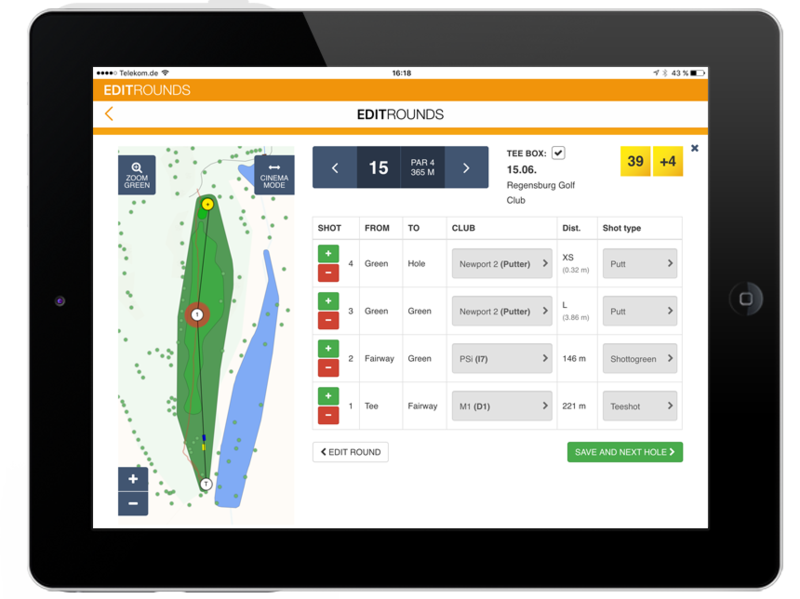 Choose the right club with exact distance measurement. 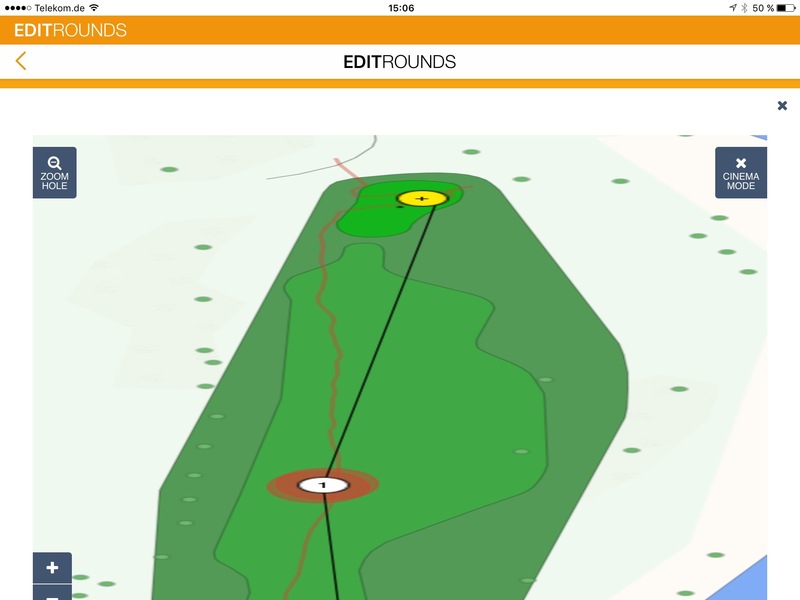 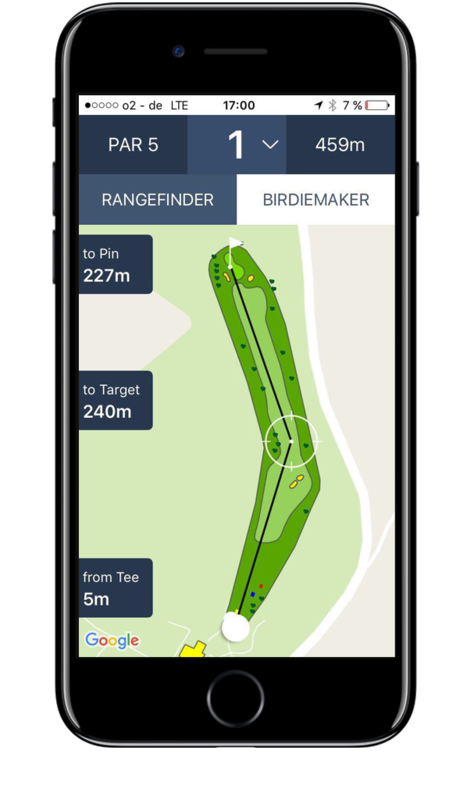 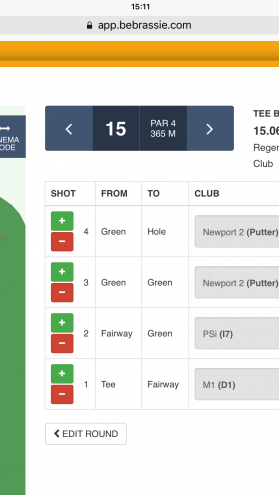 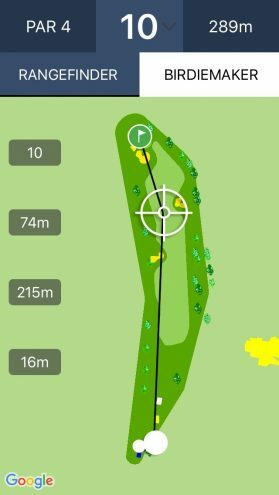 Integrated Birdiemaker helps you to plan your shots easily. 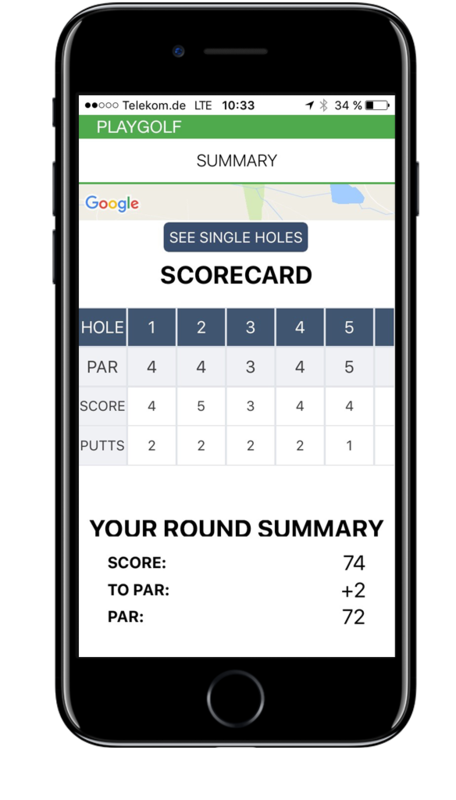 Get first statistics and review your round right after your round. If the Committee make a Local Rule that allows players to use a distance-measuring device, the use of bebrassie (Rangefinder, Birdiemaker) is permitted. 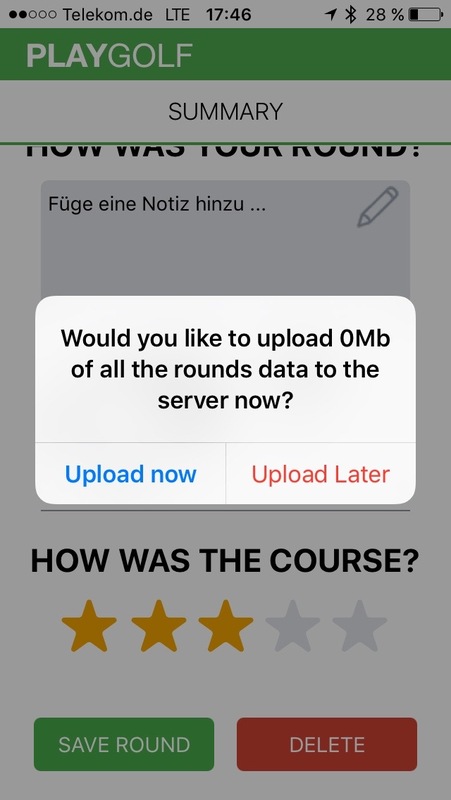 Easy and quick upload after the round. 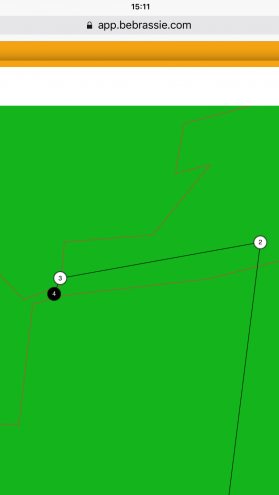 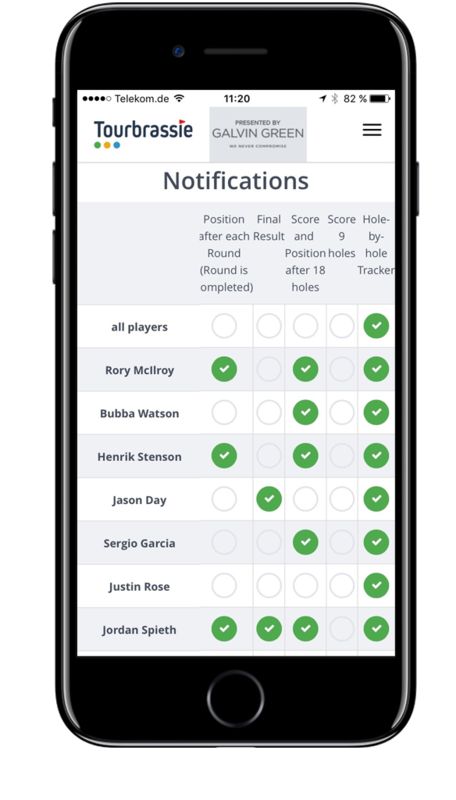 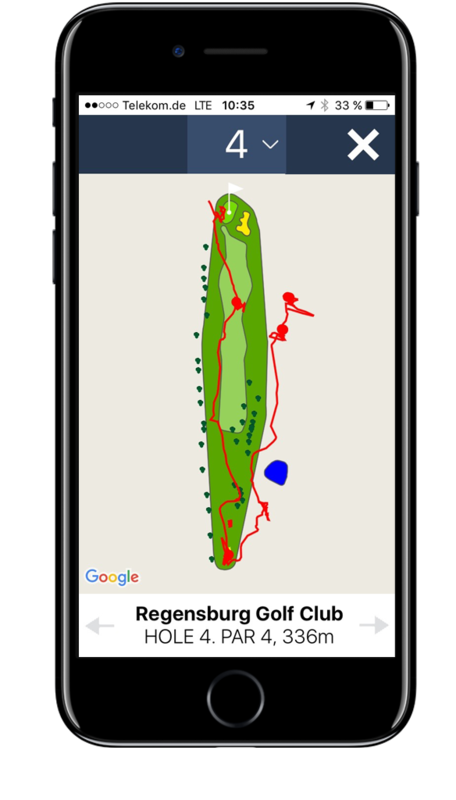 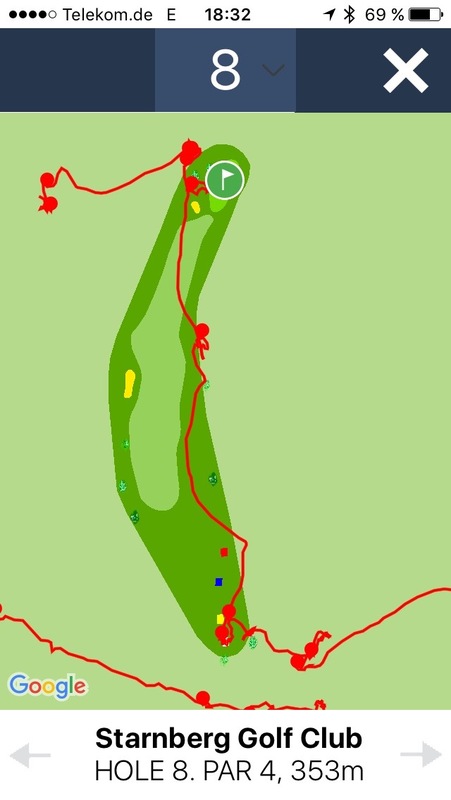 Match your shots with the detected shots from ASD from the PlayGolf. 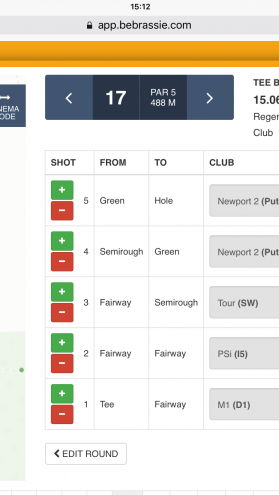 The system suggests you the played club automatically – just verify it. 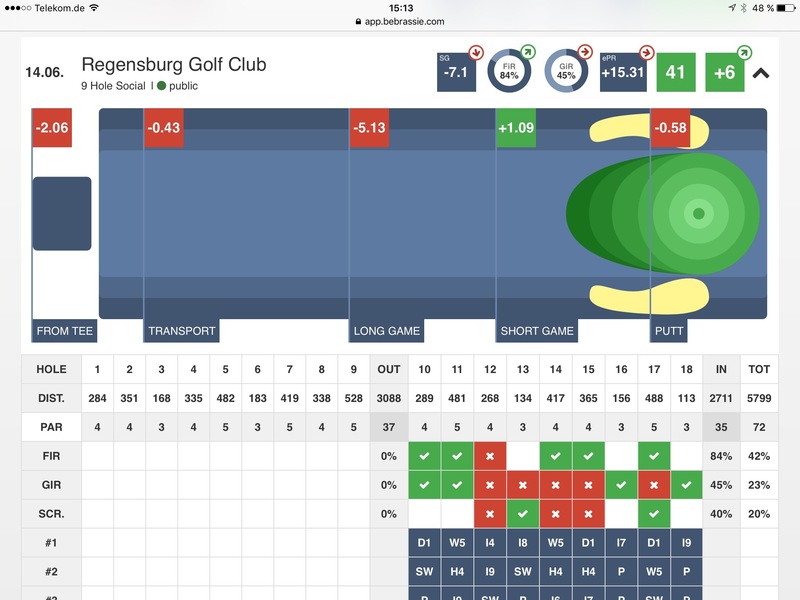 Add or adjust shot type and club if required. 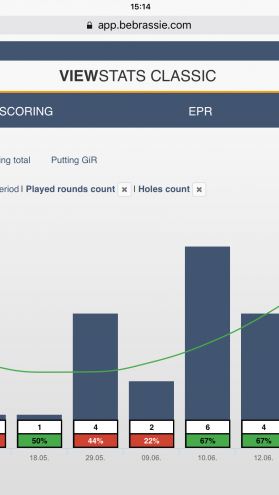 You can create a round from scratch out of your memory or you plan your next tournament. 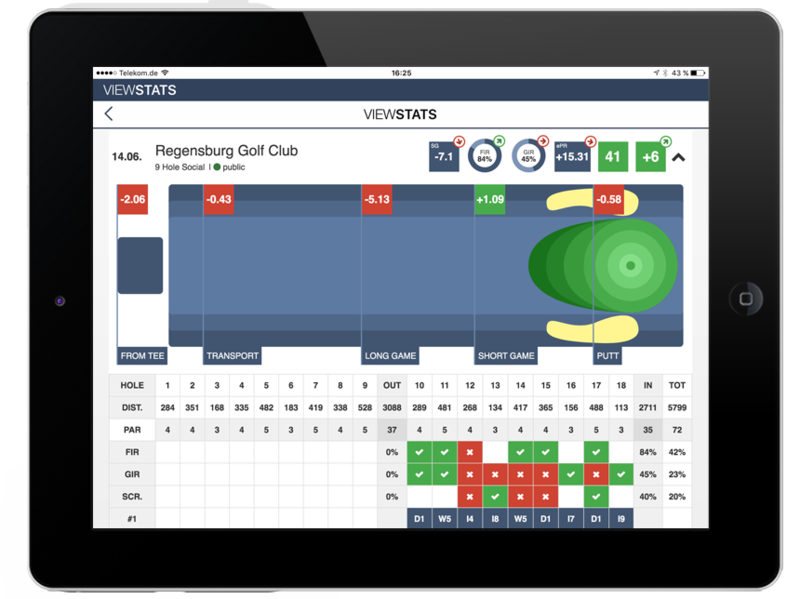 Get an overview of all important stats and scores. 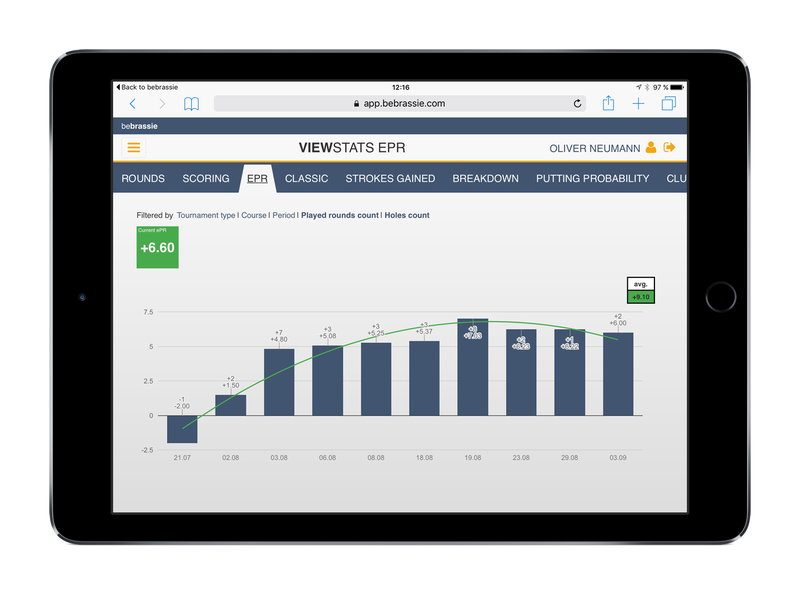 Get the expected Playing Result (ePR) calculation of our system. 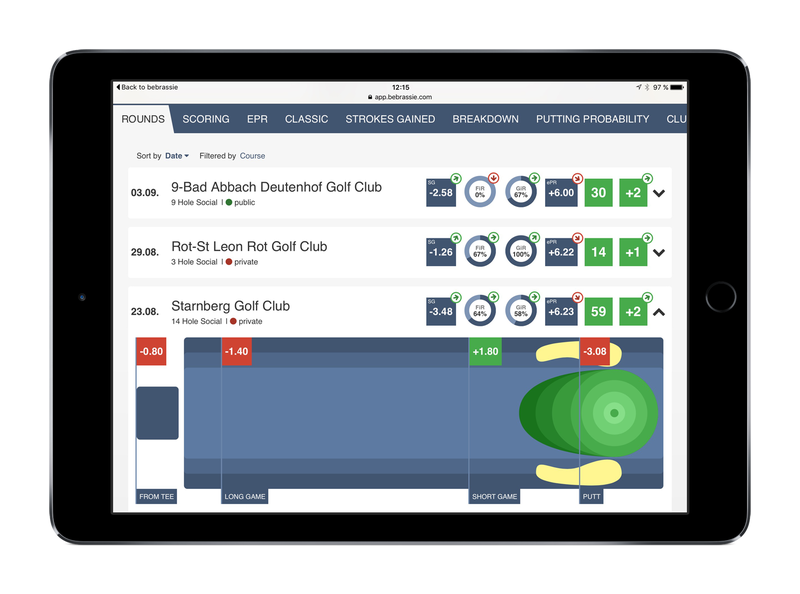 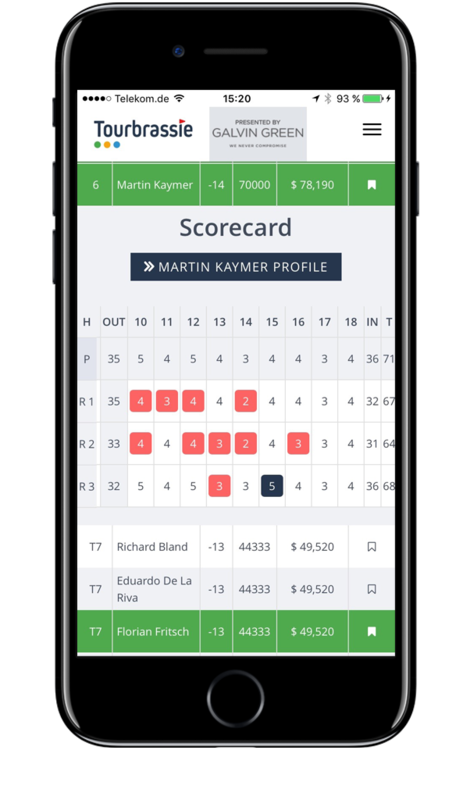 See the development of your scoring and performance. 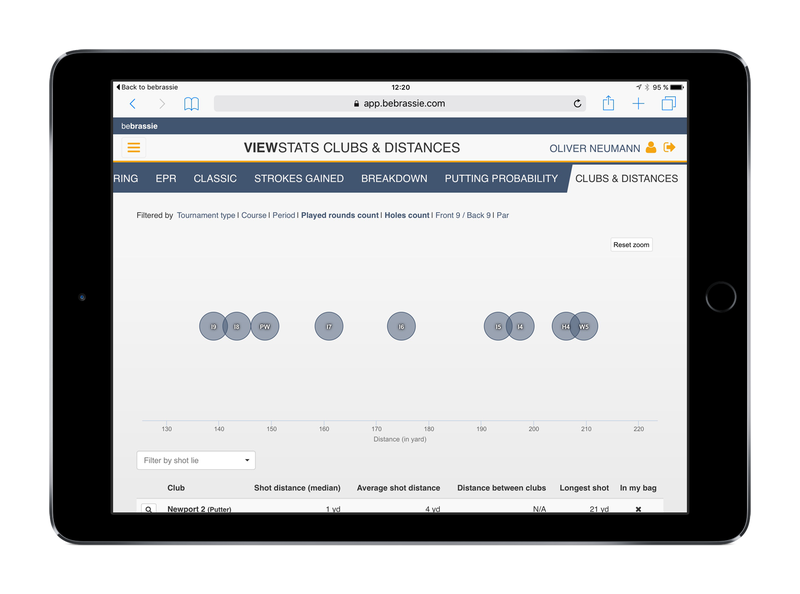 Get real tour statistics with the new Strokes Gained Analyses. 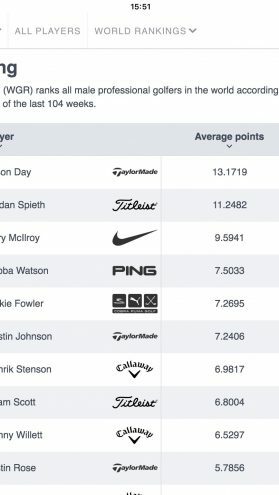 See how far you hit your clubs. 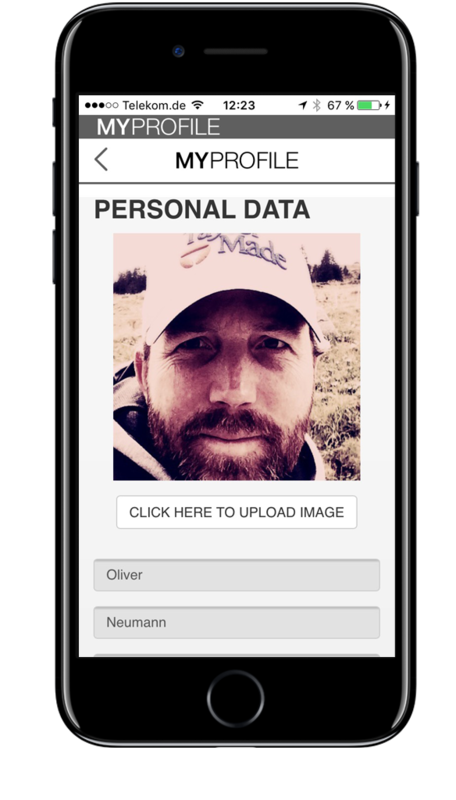 Upload your personal profile picture. 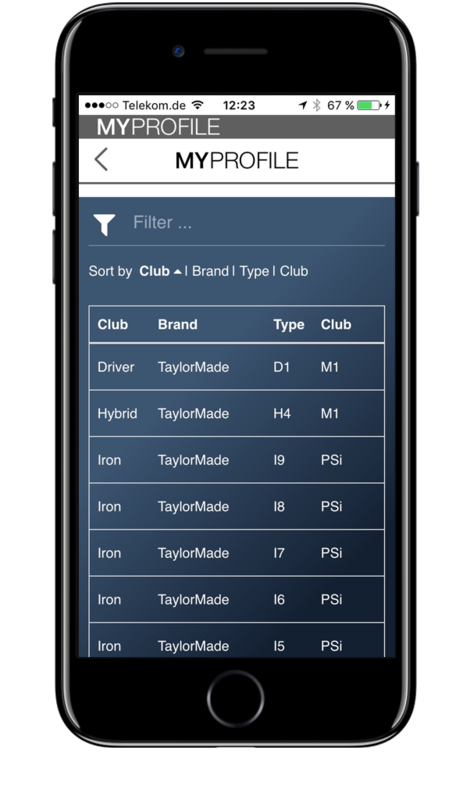 Put your clubs in your virtual golf bag. 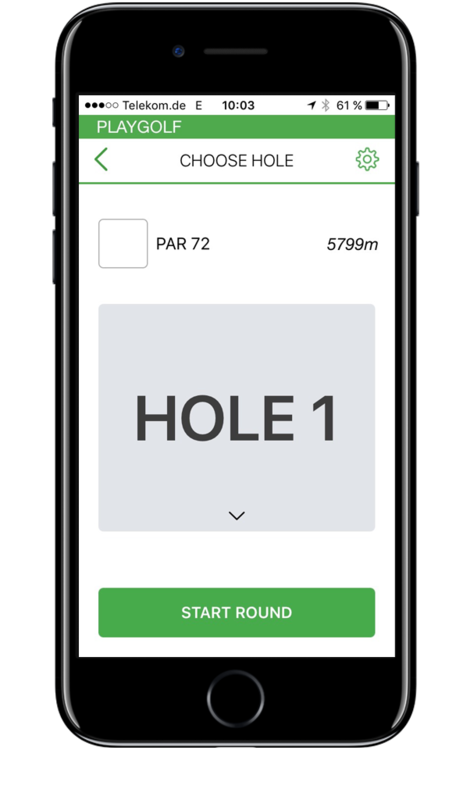 Share your round or a single hole with your friends. 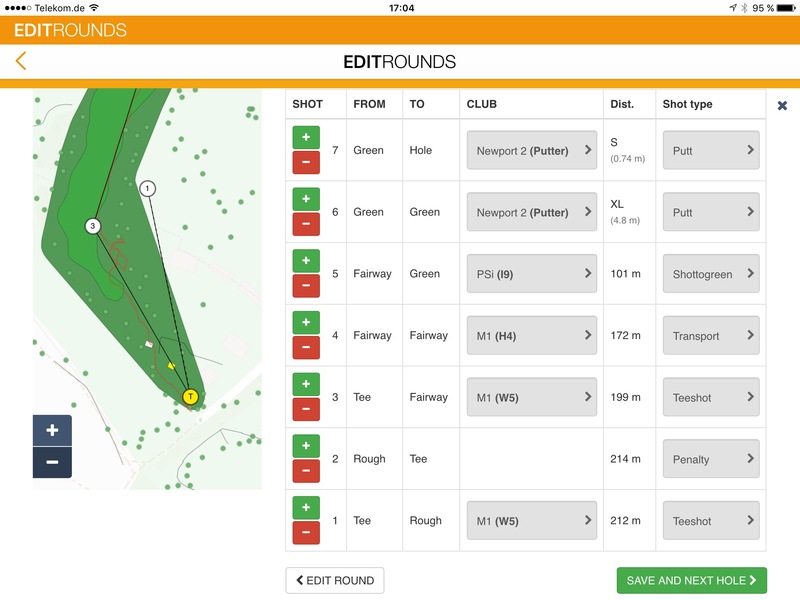 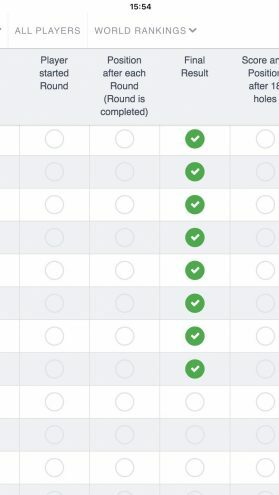 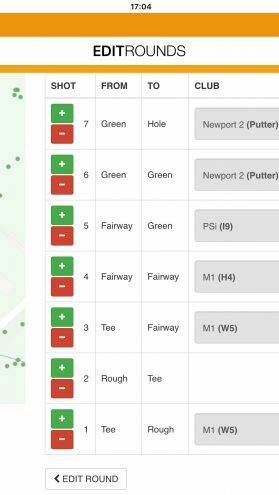 Define your home course for a faster round set up. 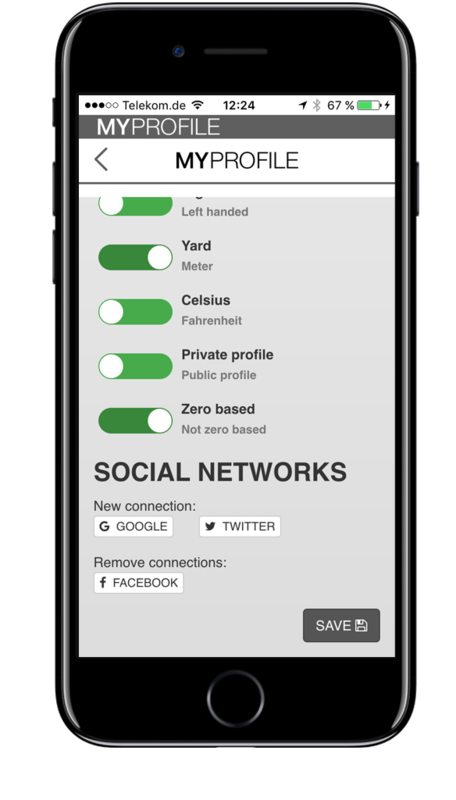 Get configurable notifications on your watch or your mobile phone*. 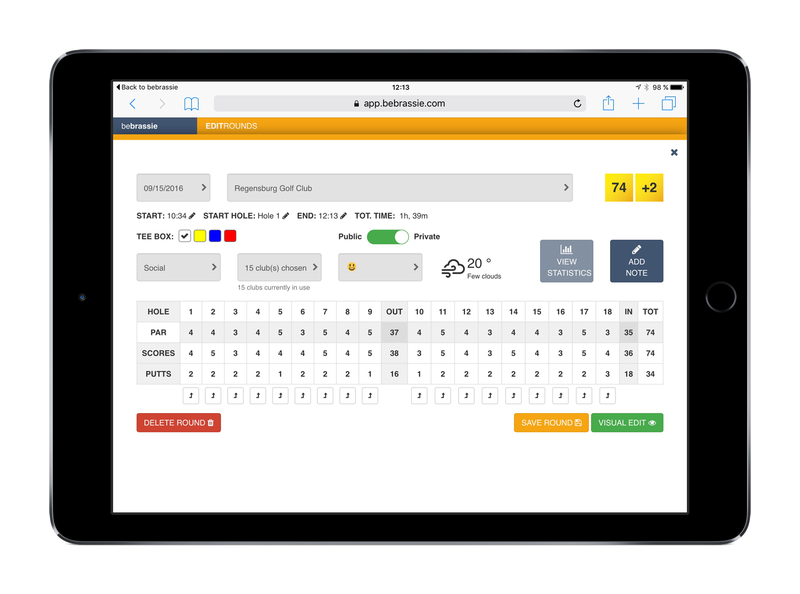 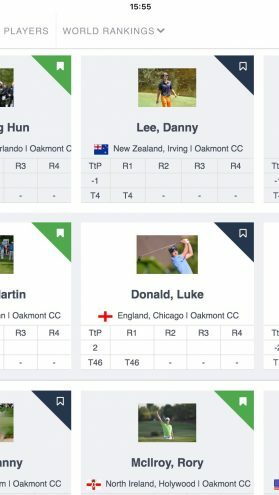 Get live information about any score of your players. 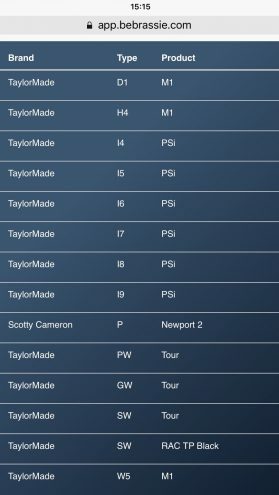 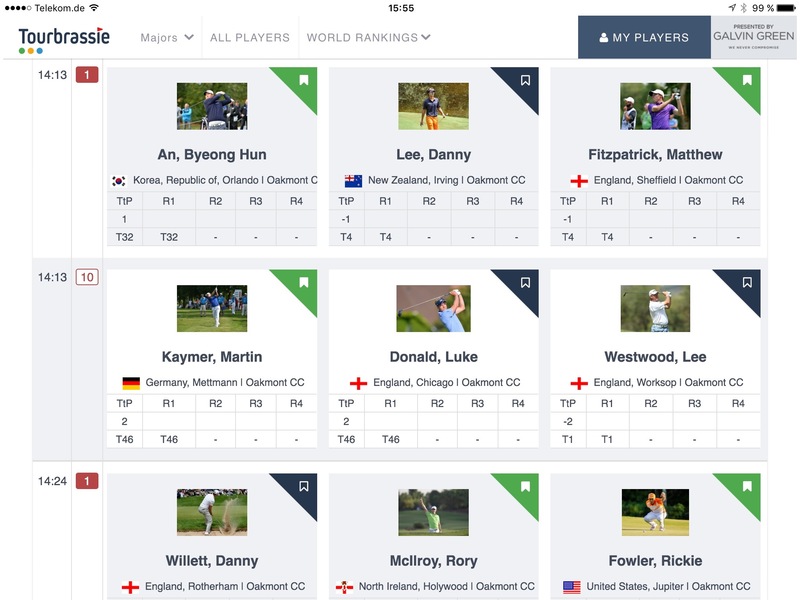 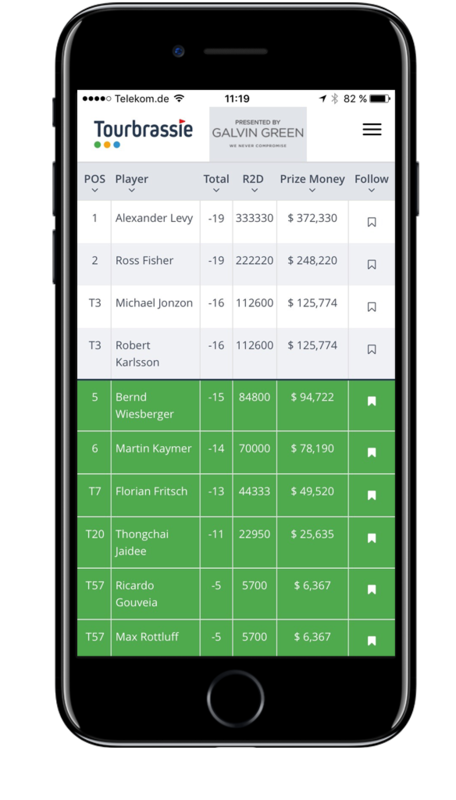 See personalized leaderboards with your players marked players. 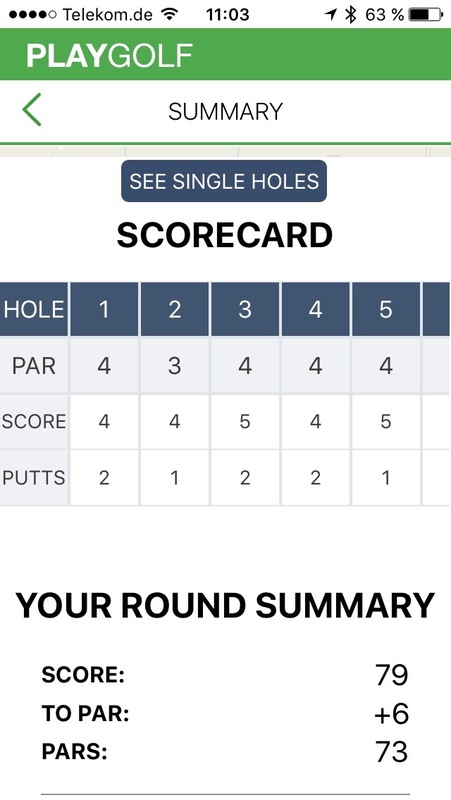 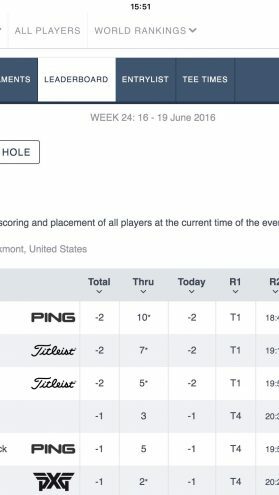 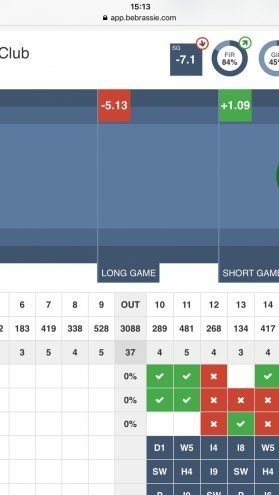 See the scorecard hole by hole. 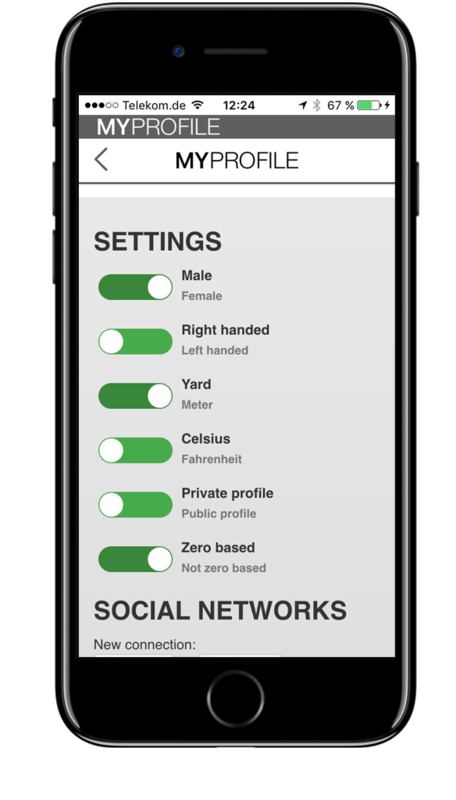 "It´s cool to have all the usability in one app." 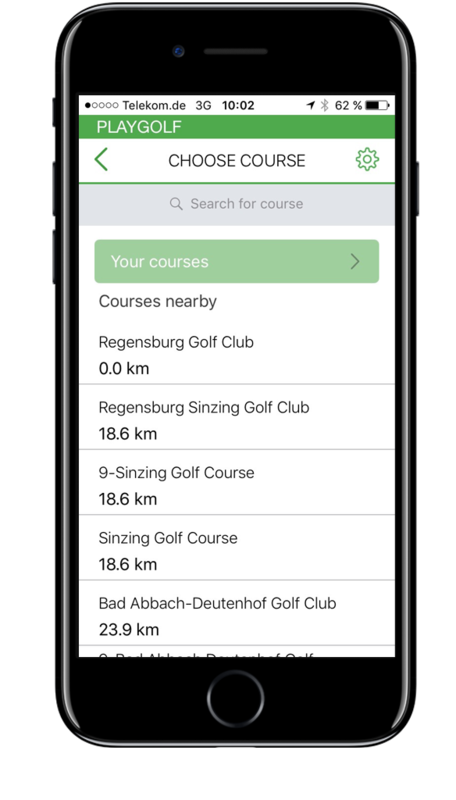 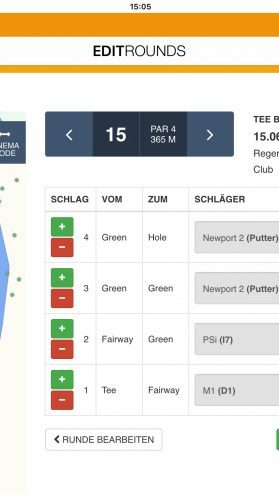 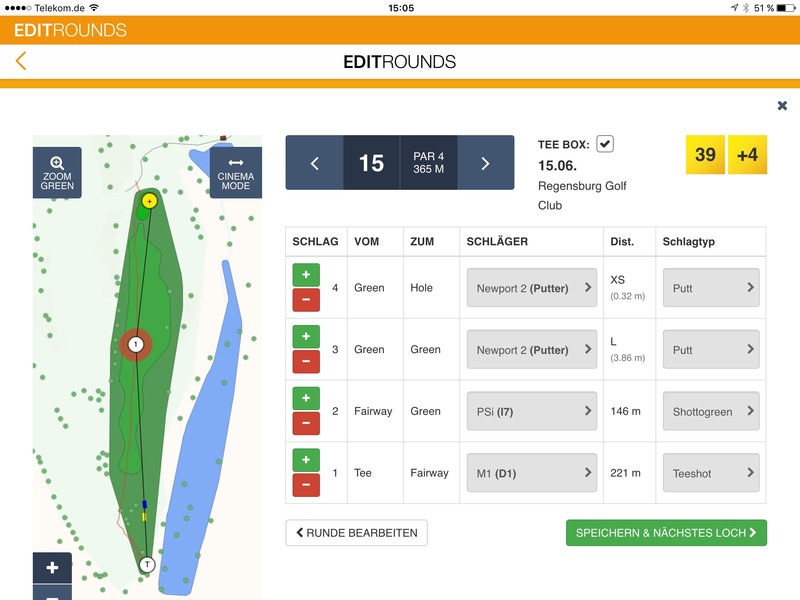 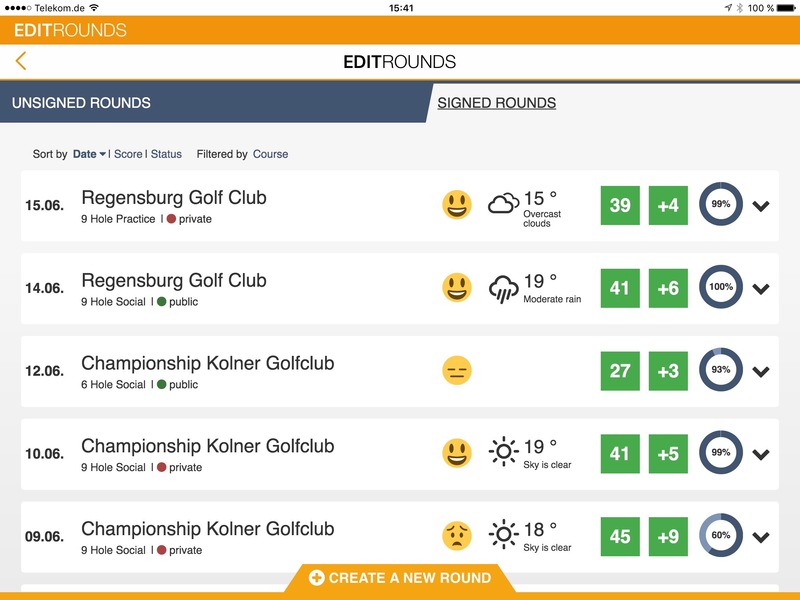 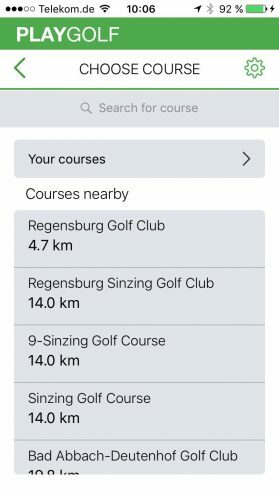 "WIR LIEBEN GOLF ist einer der größten Golf Communities in Deutschland und empfiehlt seinen Mitgliedern bebrassie als App zur Rundenanalyse. " 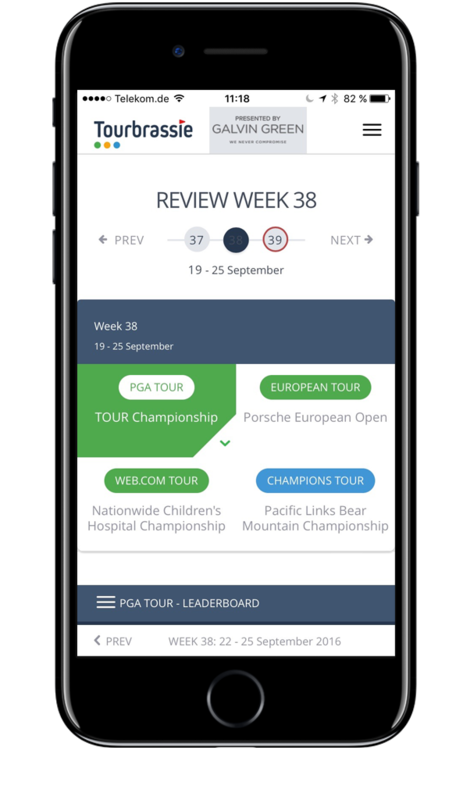 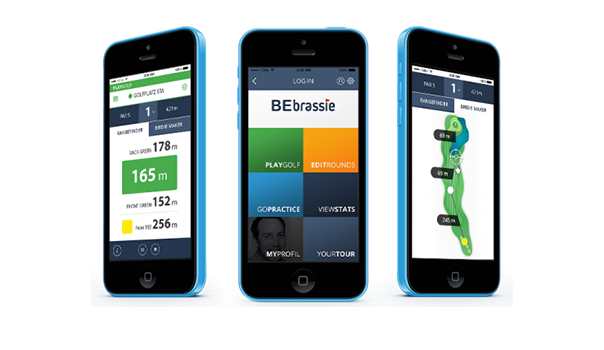 "To track the game just with a mobile phone without doing anything else than playing, is the core element of our service!" 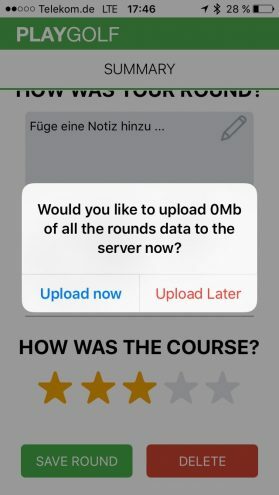 "I´ve created my last round out of memory and showed it to my friends. 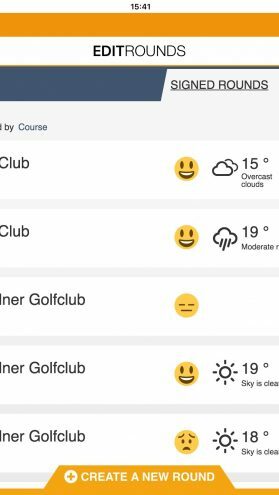 That´s brilliant!" 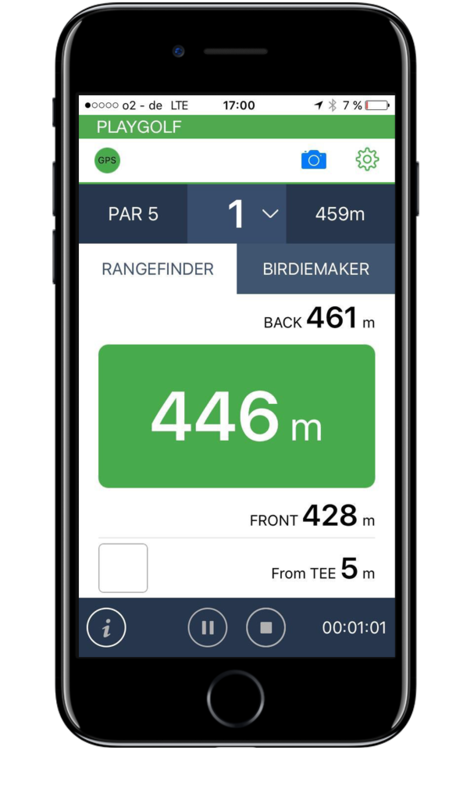 "Using the Rangefinder and Birdiemaker helps me to optimise my game and with the detailed statistics I can plan my practice session more effectively. " 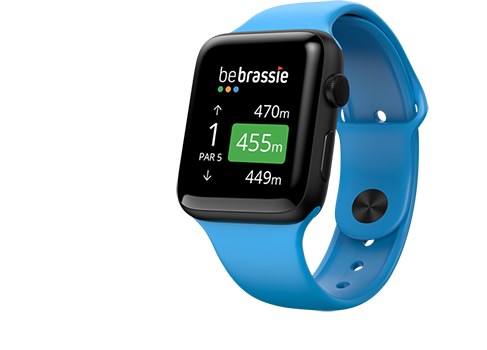 See more samples what´s included in our product. 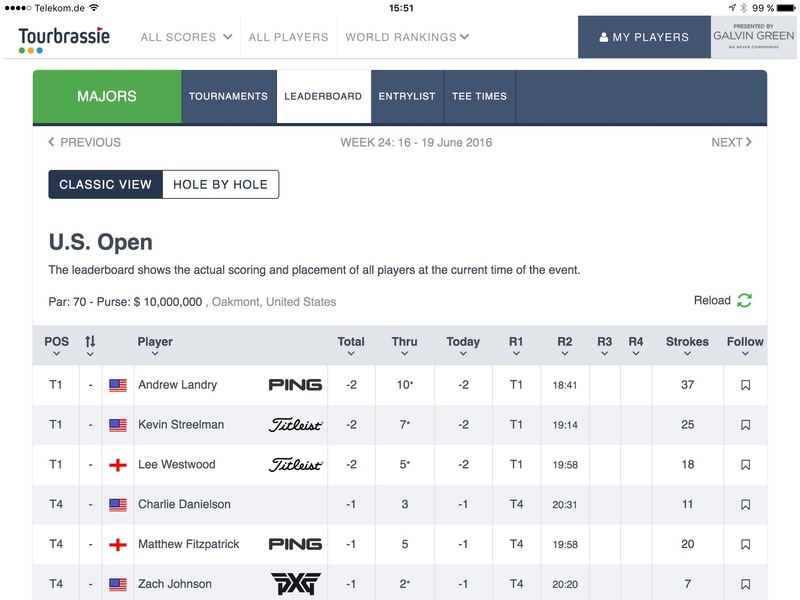 Live Scoring - close to the action. 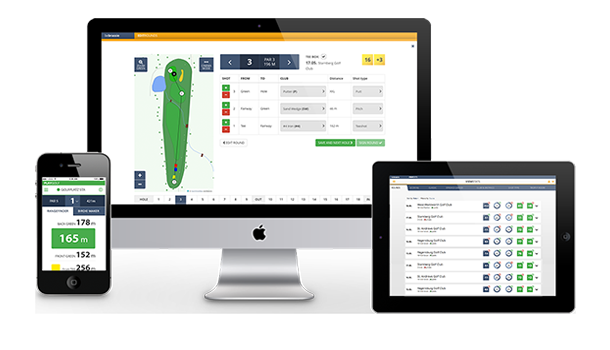 We designed our service and software with passion for golfers like you. 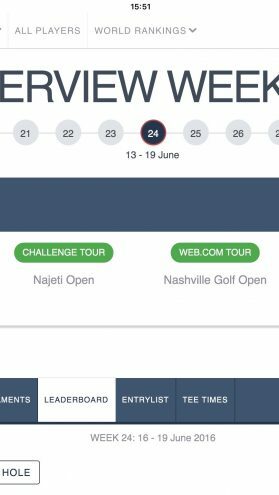 *If you choose a subscription via Apple App Store or Google Play Store, the payment will start after 14 days for the monthly abo and 30 days for the yearly abo. 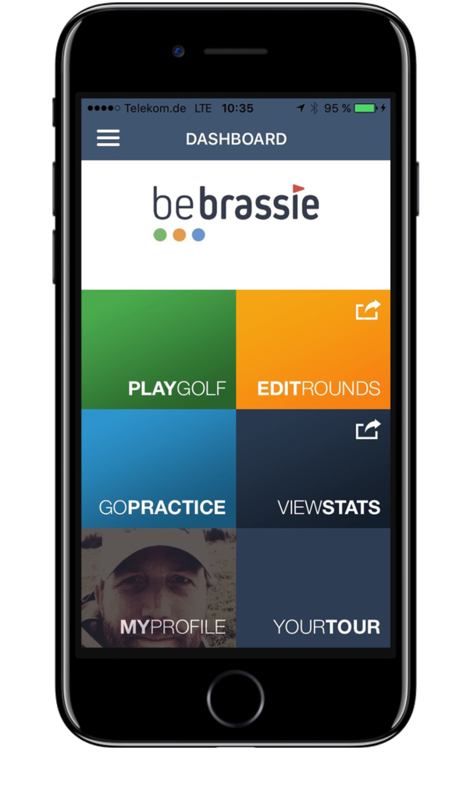 If you don't like bebrassie, cancel the subscription in the Apple App Store or Google Play Store. 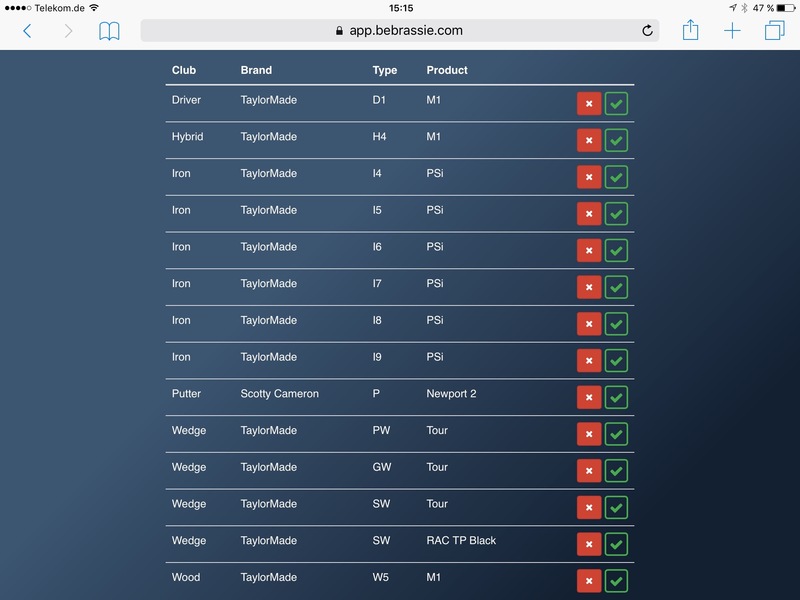 If you are looking for team packages just send us a message to support@bebrassie.com.